Back in 1889, almost 130 years ago, the North Coast of NSW actually exported 83,066 pounds or 37.71 tonnes of raw and prepared coffee, all picked by hand. “Cultivation of coffee has already passed successfully through the experimental stage in this colony (NSW): in suitable places on the Clarence, Richmond and Tweed Rivers,” wrote F. Turner, a fellow of the Royal Horticultural Society in 1891. In the 1891 NSW Agricultural Gazette, Turner wrote enthusiastically about “the coffee plant of commerce”, stating “what a splendid home market there is for this produce: besides, it might be exported to Victoria, Tasmania and New Zealand”. The value of the crop in 1889 was £4322 (about $7737) and Turner was confident the coffee plant had a place in Australia’s agricultural landscape. “This enormous sum ought to stimulate farmers in the north eastern part of the Colony, for it must convince anyone that if the cultivation of the plant were undertaken in a systematic manner it would be a payable undertaking,” he wrote. By 1900, Mr Ball, a grower on Chatsworth Island in the Clarence of NSW, found that he could pay 10 pence a pound for good bean. Harvesting was done “by lads who were able to earn 15 shillings a week” at the work. In 1890, his crop was worth £6000 and sold at one shilling to one and three pence a pound. Despite Turner and Ball’s confidence in the Australia coffee market, why didn’t the industry grow? Well, because even in 1889, 674,086 pounds or 306 tonnes of coffee was imported into the colony, and by the 1920s, the local industry found it hard to compete with the coffee from countries with low labour costs. The Australian colony remained untouched and unharmed by the pests and diseases which caused extensive damage to coffee trees overseas (particularly coffee leaf rust and berry borer), prompting another article in the 1891 Agricultural Gazette. “Considering the excellent variety and healthy appearance of the coffee trees found in the orchards of the Northern Rivers, and, besides, the numerous insect and fungoid pests which prey on them in many of those countries where they are extensively grown, it would be advisable to restrict the propagation of the plant to seeds grown in the colony,” J.A. Despeissis wrote. 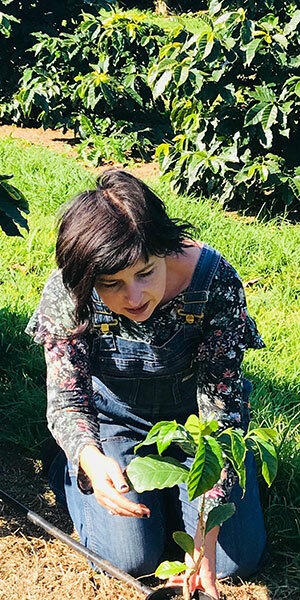 In the 1920s, commercial coffee growing virtually died out and the humble coffee tree was relegated to the backyards of many homes throughout the North Coast, particularly in the Italian community of early pioneers. An interesting chapter began in the mid 1920s when a local physician, Dr George Hewitt, also an avid horticulturist, founded the Bellingen Horticultural Society and began planting locally hundreds of different plants he collected from overseas, determined to keep these plants for the enjoyment of people of the North Coast forever. George planted the local variety of coffee tree in the grounds of the Bellingen Hospital. I was lucky enough to gather a few seedlings from the original trees in 2017 and donated one seedling of this variety to the Southern Cross University to include in its gene bank collection, and one to our ASTCA President Rebecca Zentveld. There are also plantings of the early coffee introduced into Australia at the Royal Botanic Gardens in Sydney. The next time someone acts surprised when you tell them that Australia does indeed grow coffee, feel free to educate them with our proud and untouched coffee history. 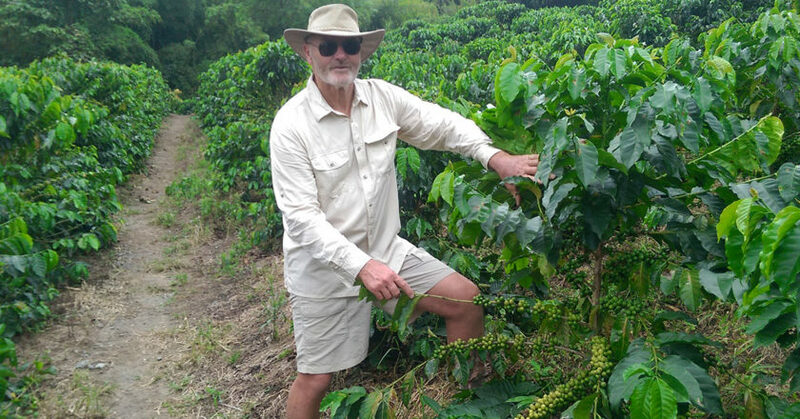 Stay tuned for part II of Australia’s coffee growing history in the December edition. The ASCTA thanks President Rebecca Zentveld and Treasurer Jos Webber for their contributions to this article.